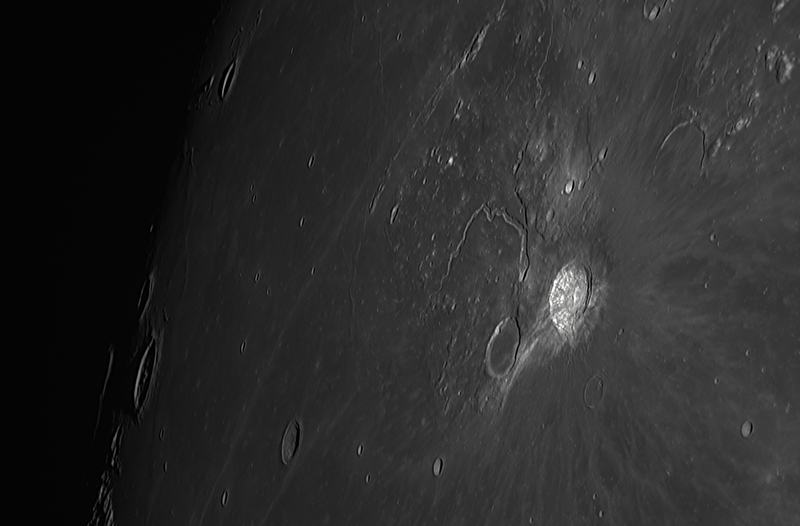 A very brief lunar imaging session with the 355mm Newton under poor seeing. The poor seeing was mostly due to the low altitude of the Moon above the horizon, otherwise higher up, it was quite good. The value that I’ve settled upon was 5/10. This required the use of the IR pass filter (>685nm). 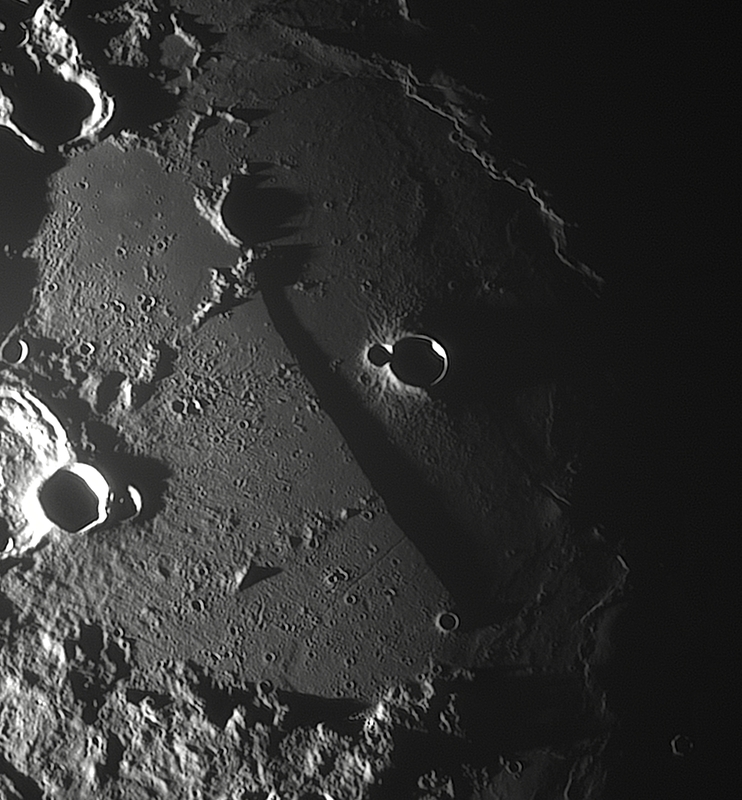 Not happy with this result, but the image does show some superb formations towards the South Pole of the Moon, including the very large crater Bailly. And another view of the same area, this time in slightly better seeing. 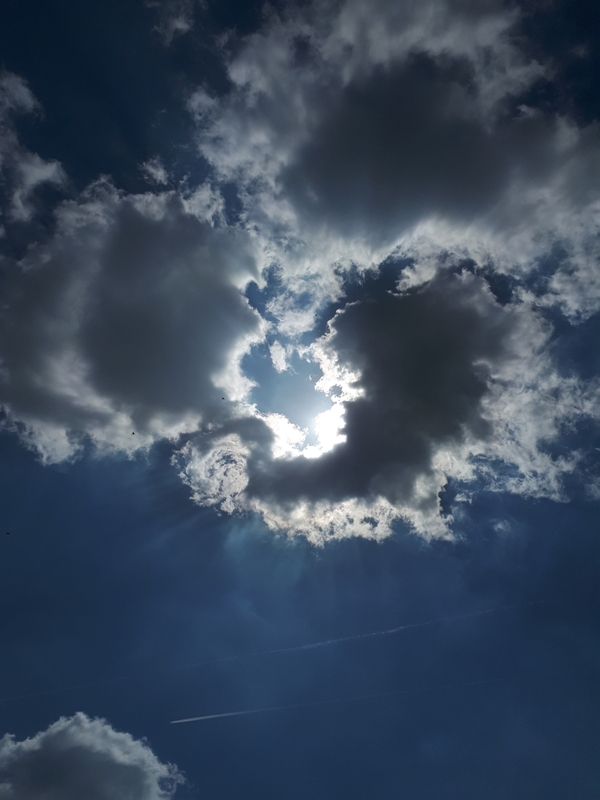 Again, luckily, the clouds dispersed 1 minute (!!) before the transit, so that I could focus and wait for the black silhouette of the ISS to pass. 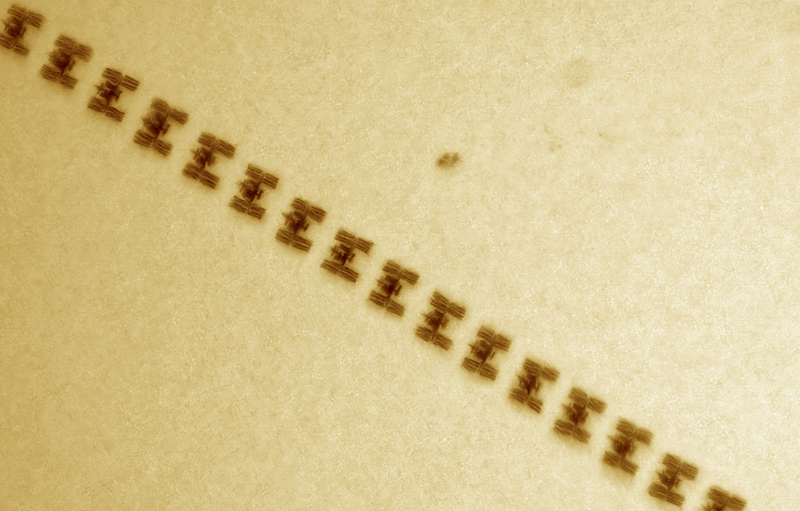 Seeing was terrible, but the pass was favorable with many details of the ISS structure well resolved. 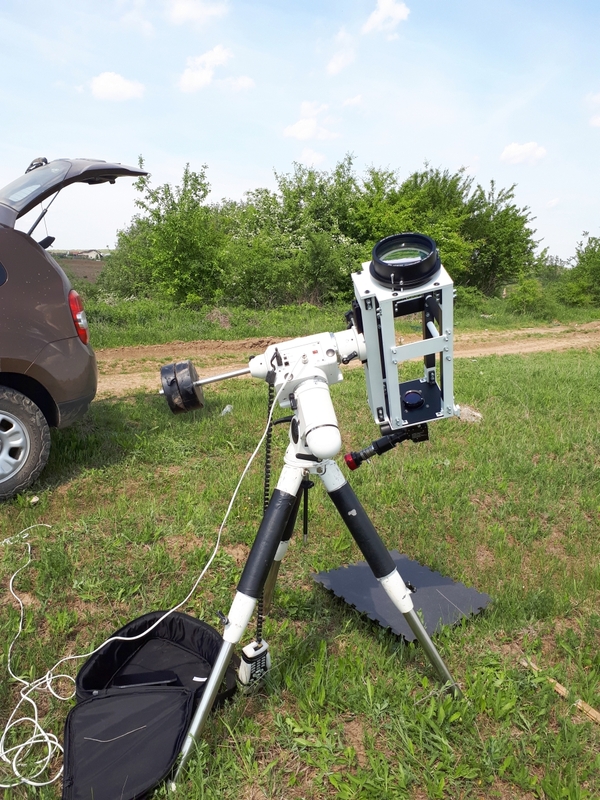 The setup: homemade 150mm F/5 refractor (iStar lens), Herschel wedge, 2.7x APM coma correcting barlow, Baader green filter, ASI 174MM. 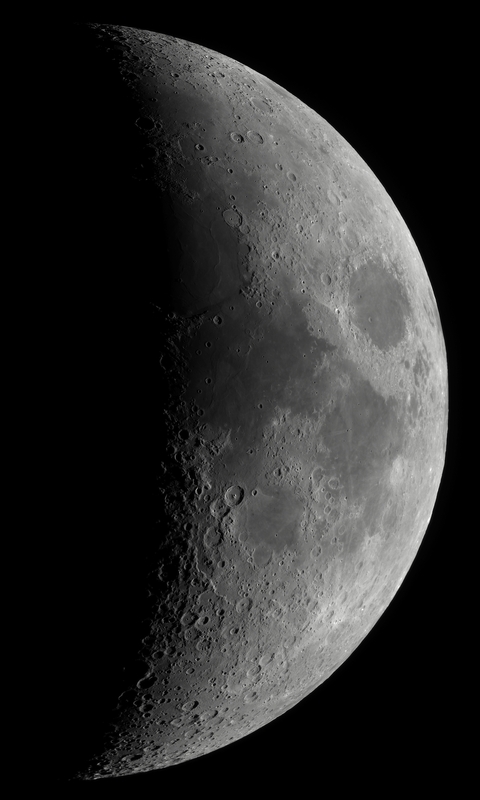 A lunar session under almost perfect seeing conditions. Well, not all the time, but for about 30 minutes the seeing was very close to perfect. It is definitely one of the most memorable imaging session in recent years for me. Equipment: 355mm F/4.5 homemade Newton, 2.7x coma corrected barlow, and 2.5x Baader barlow (for green light only). ASI 174MM with either a Red filter or a Green one! 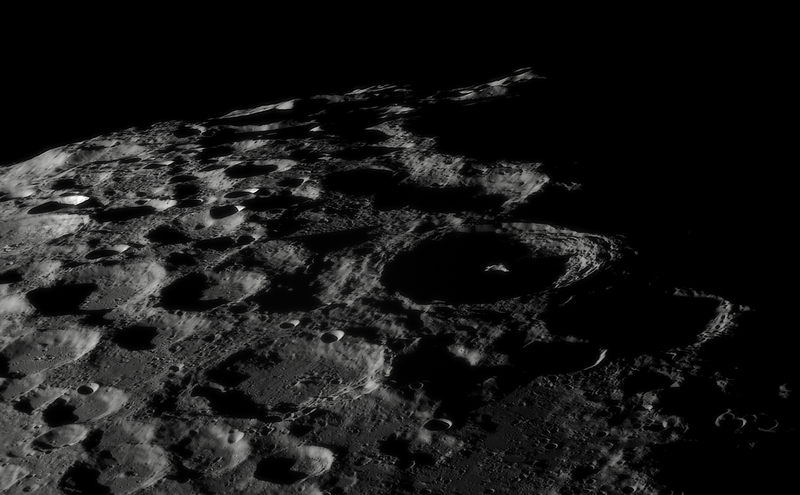 Yes, I could finally use a Green filter for lunar imaging, which is extremely rare. 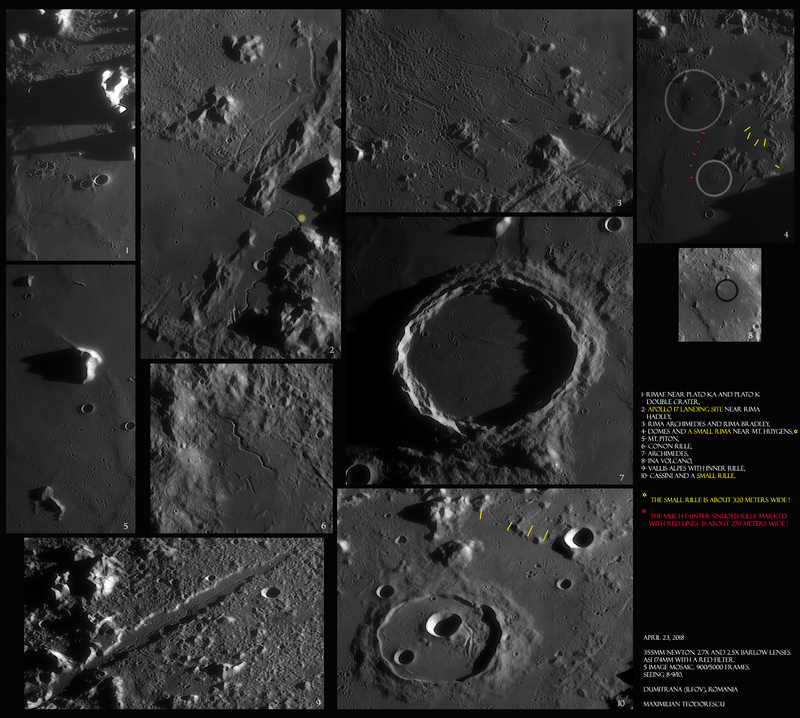 First, the higher magnification Green filtered images. 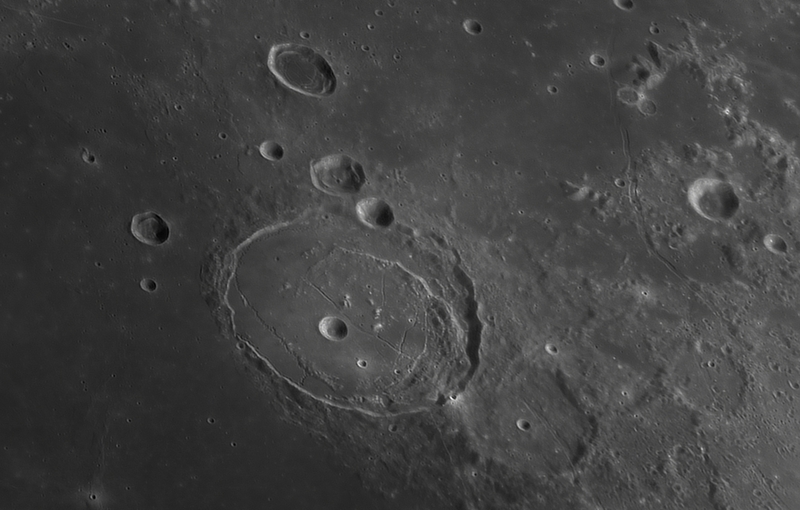 The prominent trio of craters Arzachel, Alphonsus and Ptlemaeus in good seeing (7/10) at the beginning of the session. Another better version, in 8-9/10 seeing, is being processed. 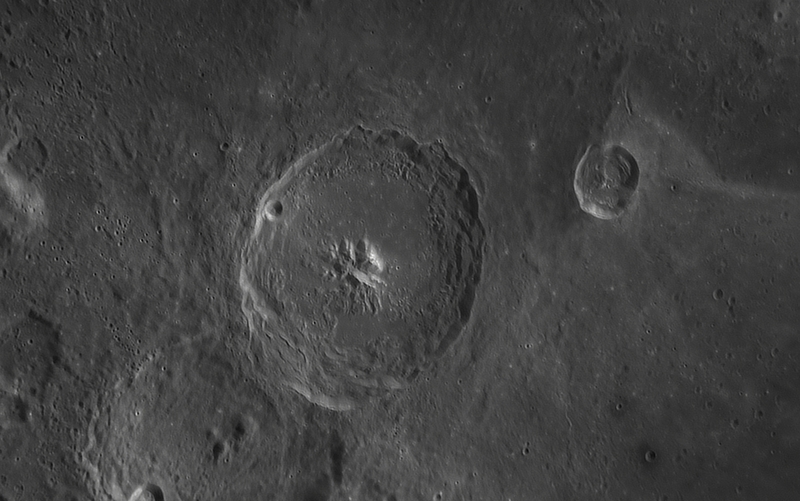 Crater Moretus and the southern mountains. 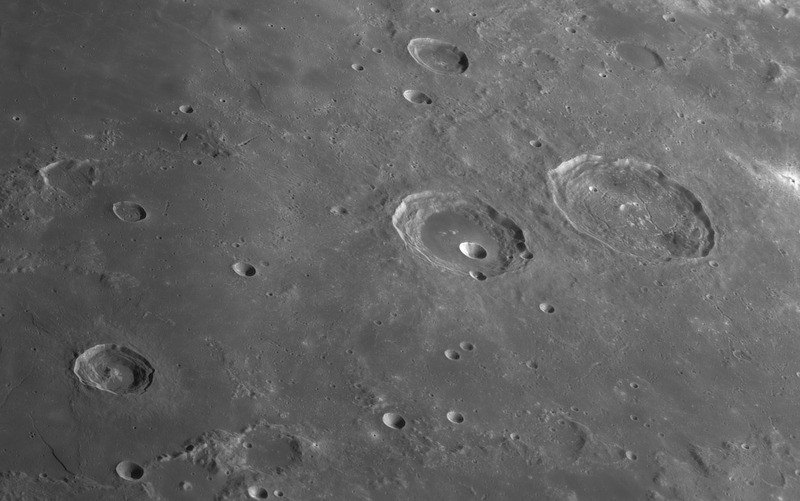 A sharper view of the Arzachel, Alphonsus and Ptolemaeus area, in 8-9/10 seeing conditions, this time including the nicely iluminated Rupes Recta into view. 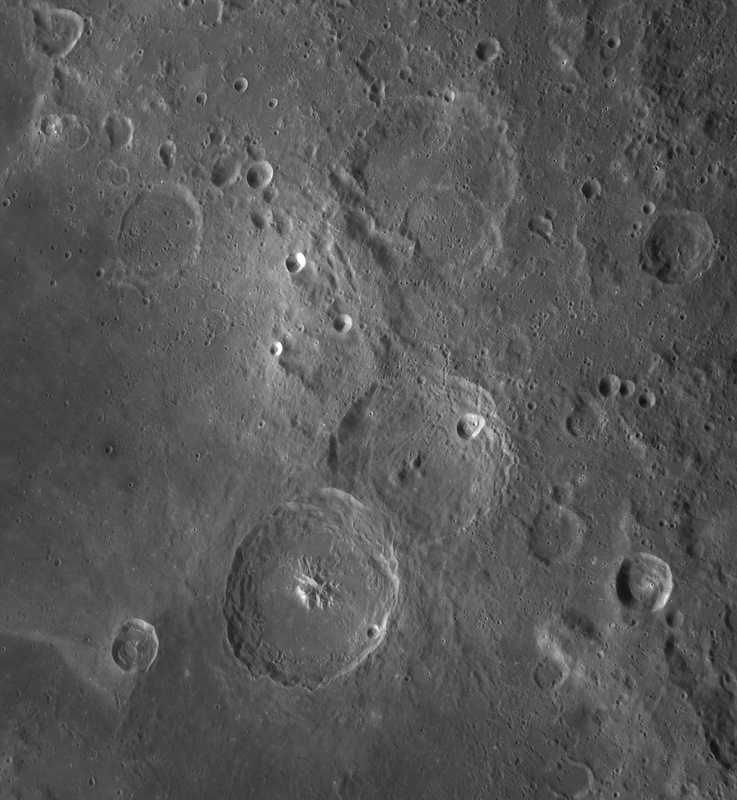 Note the small rille perpendicular to Rupes Recta. 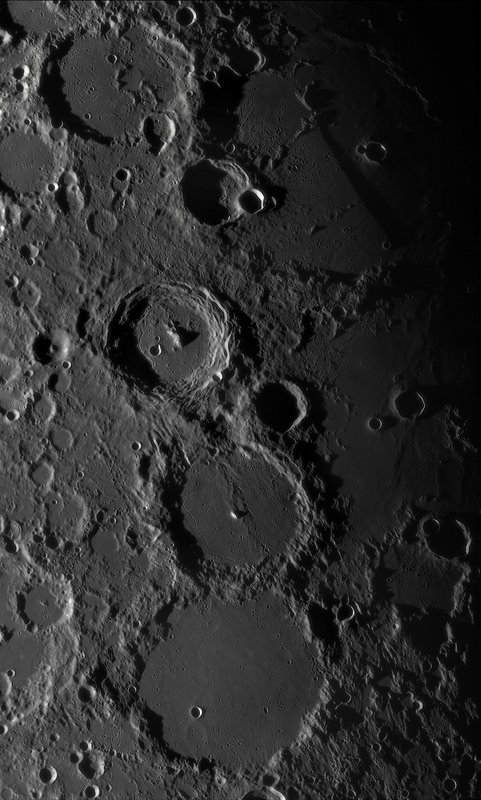 Another well known trio of craters, Theophilus, Cyrillus and Catharina. Bu this time, under high illumination, it is the smaller craters that look more interesting. 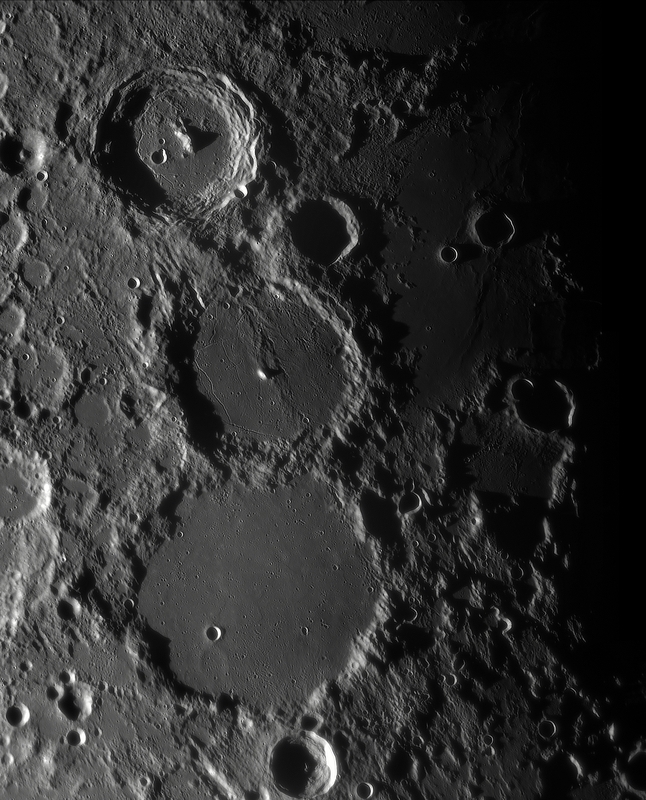 A wider view of craters Atlas and Hercules, this time including crater Burg at the center of Lacus Mortis. 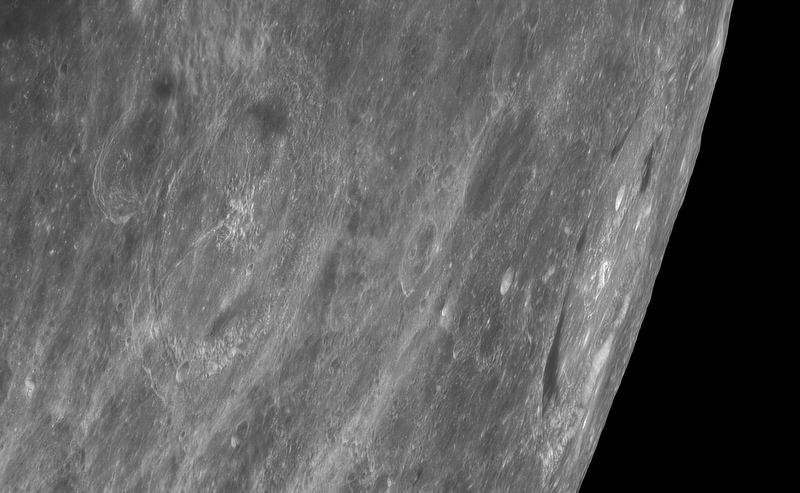 An “in orbit”-like view showing Mare Humboldtianum on the lunar limb. 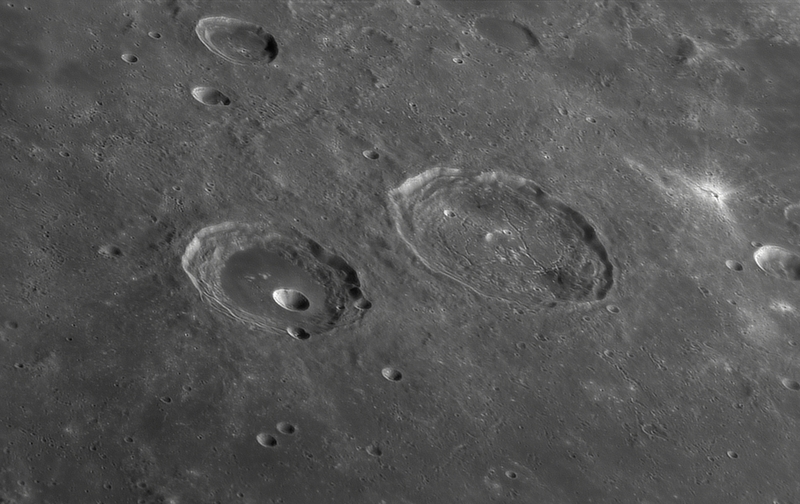 A view of perhaps the most intense rimae region on the Moon: Hyginus, Triesneker and Ariadaeus. Also, look at far left, deep in the shadows; there is a very long sinuous rimae hidden there. If I were to be asked which is my best astro image of them all, in terms of resolution and aesthetic value, my answer will most definitely be pointing to the following image. 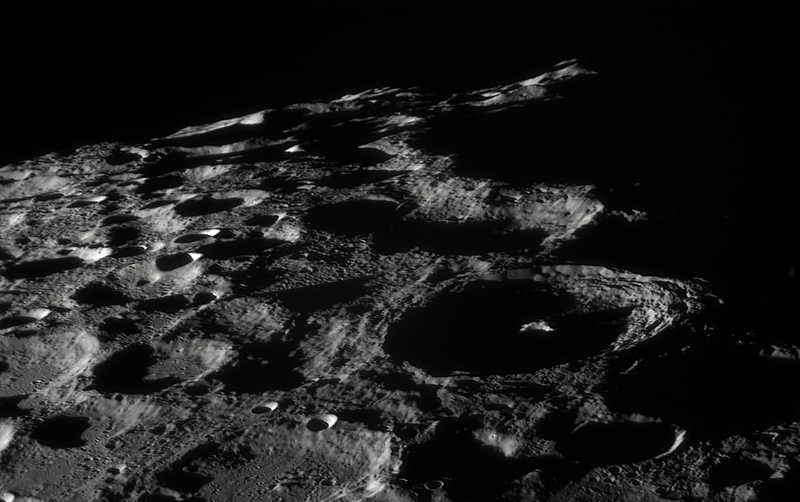 A five image mosaic, acquired under close to perfect seeing conditions, and showing some of the most interesting and dramatic features of the northern half of our Moon. I would recommend to view it slowly, otherwise some of the finer details might be missed. And a selected list of formations from the above image. Note the details on the floor of Archimedes and the domes near Mt. Huygens. 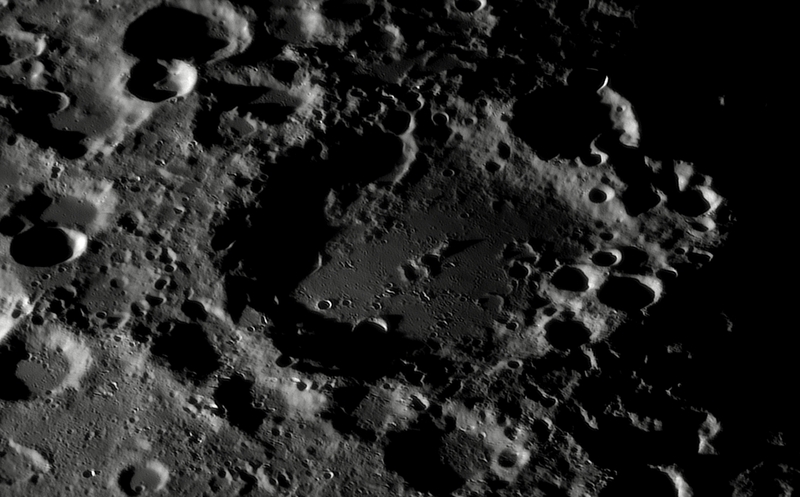 Plus, this large image has the smallest details ever captured by myself on the surface of the Moon: some small rilles are only about 270 meters wide! 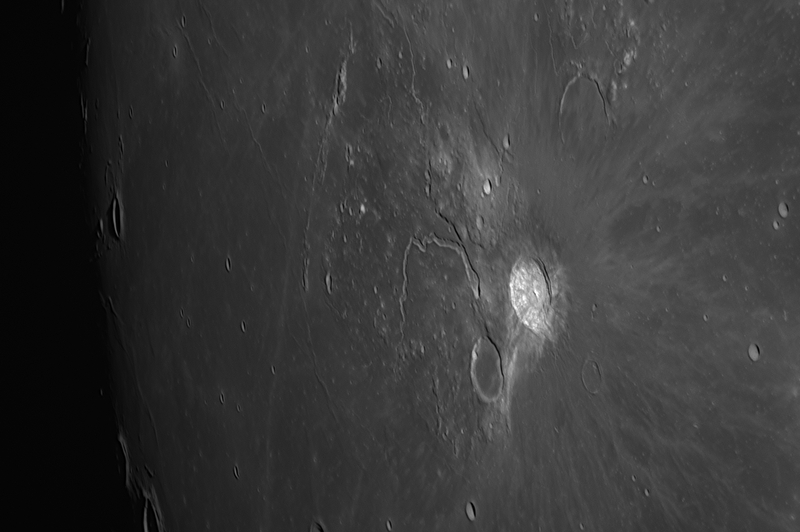 The last image of this session, crater Maginus under “more normal” seeing conditions (7/10) and Green filter. This is the result from a wonderful session deep inside the woods around Targoviste, Romania. A few roars from different animals, a few insects around the laptop, and the flight of a few bats were all contributing to the atmosphere…Nature at its best. 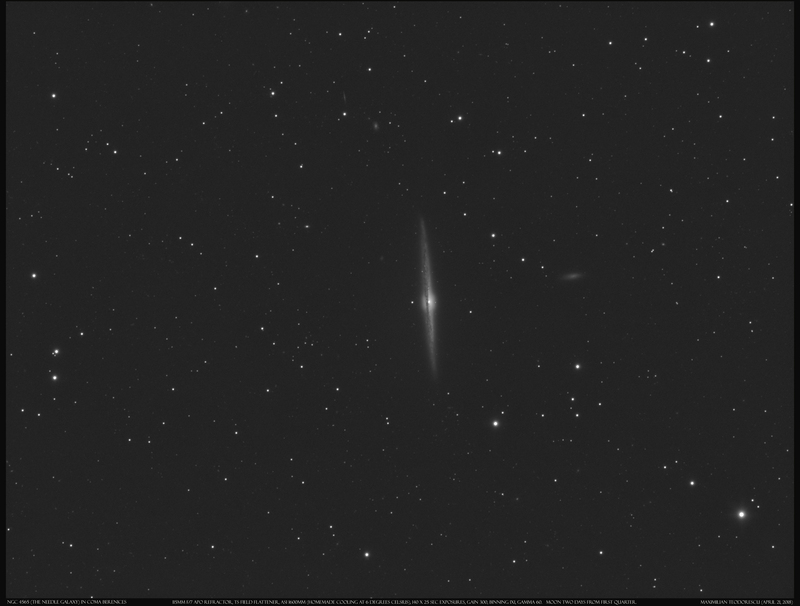 The following shot (please zoom in) shows the interesting edge-on galaxy that it is best known as “the Needle galaxy”, located in Coma Berenices. More interesting is the immense number of far-away galaxies present in the field: most of the small diffuse points of light in the image are actually galaxies not stars. 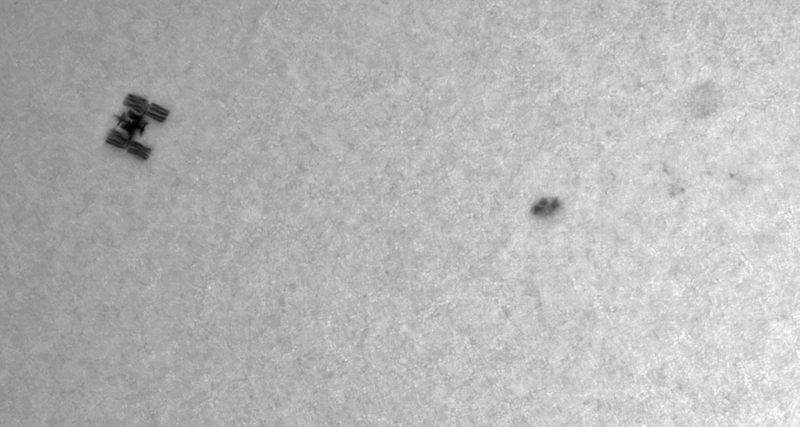 This was also the first true test of my homemade cooling for the ASI 1600MM camera. From the normal 14-15 degrees Celsius (wit 12 degrees ambient air temperature) the sensor temperature was lowered at about 6 degrees; it allowed for so much less noise to be present in the subs. I may get eventually a more efficient cooling system, but for now it is good enough. 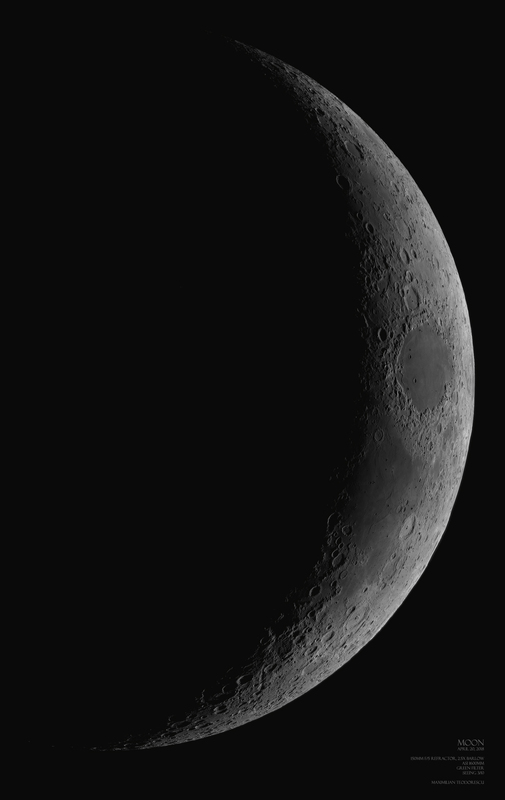 A very short session with the Moon. Despite the poor seeing, the experience of imaging from deep in the forest is something to remember. 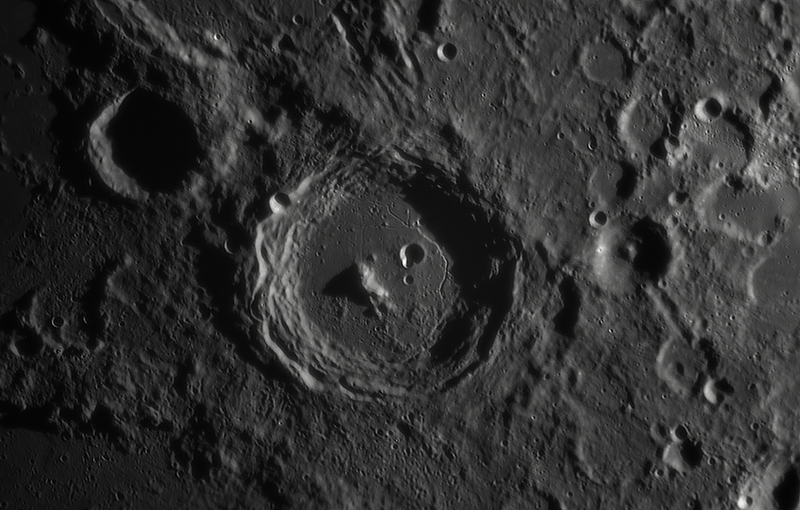 This image was acquired with the 115 mm refractor and ASI 174MM camera with a green filter in 4/10 seeing conditions. 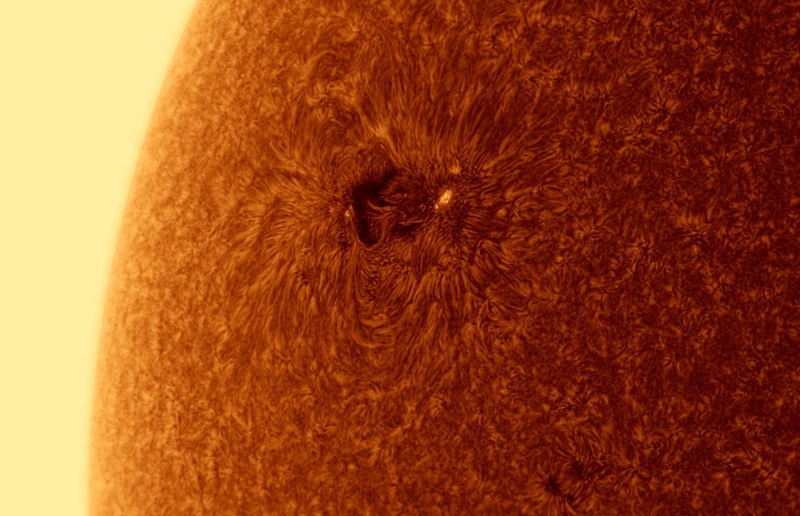 Nevertheless, a nice active region (AR 2706) is giving us a very nice display both in white light and H-alpha light. 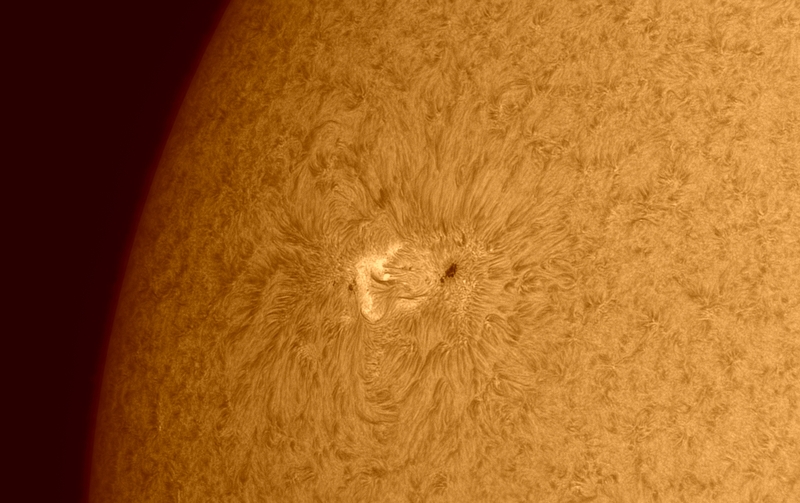 Equipment: TS 115mm APO F/7, Quark Chromosphere, ASI 174MM for H-alpha images. A. Herschel wedge was used for the white light shot. Seeing 6/10. One Moon shot. Note the bright peaks far away from the terminator line, towards the South Pole.